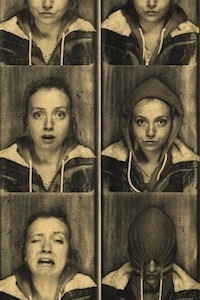 Recently, I came discovered the work of a conceptual photographer named Sophia Wallace. 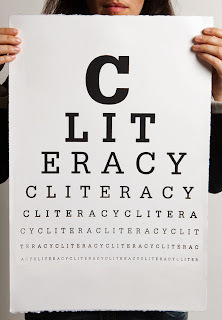 Her current subject of work is called "Cliteracy", and in my opinion, it's not just a subject, but a movement. As found on her website, Cliteracy is "a project addressing citizenship and body sovereignty using the medium of text-based objects, unauthorized street installation and interactive sculptural forms "
Wallace has expanded her mediums and has explored different venues to deliver this movement. TShirts, posters, public art, installations, group collaboratives, forums, and etc have been created and put out there to educated and liberate. 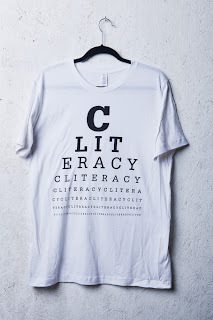 Today, I am the proud owner of a Cliteracy TShirt. be aware. be liberated. be proud. be. All things come to an end, thank you. I would like to thank everyone who supported "Untitled (Self-portraits) during it's hanging at the Tulsa Artist Coalition Gallery in Downtown Tulsa. The exhibit was a huge success and the rapport was unbelievable. I am incredibly happy and proud of the show and hope that everyone who came to be apart of it was able to take something away with them. This exhibit was an incredibly venerable and even scary statement of personal struggles and acceptance.